Definition: the chemical alteration (ie structural modification) of drugs and foreign chemicals ("xenobiotics") by drug-metabolising enzymes (dme) in the body. Genetic background can influence ability to metabolise drugs. 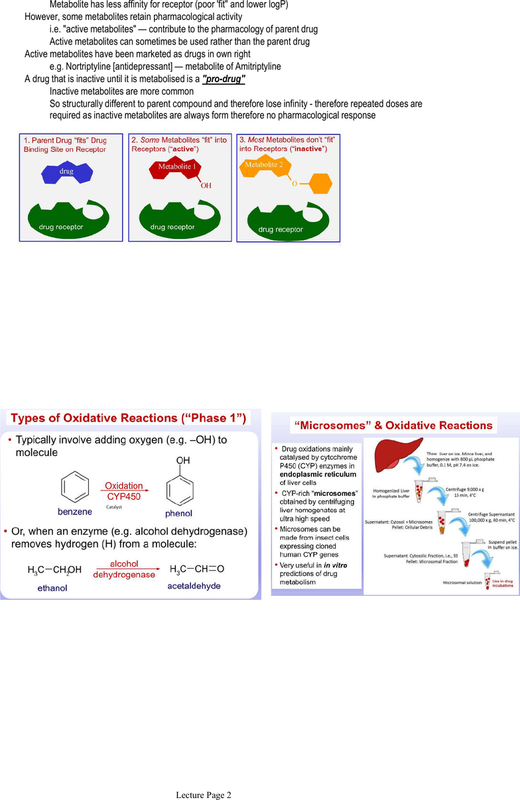 Dme are essential catalyst- active site (metabolite a drug) Oh= makes the drug more polar and more water soluble. Dme - broad in substrate preferences (ability to metabolise a wide range of molecules) Need to protect the body against foreign molecules. **oh metabolites are more polar, more water soluble and therefore facilitates the excretion from the body. Drug metabolism usually generates multiple metabolites from a single "parent" drug. 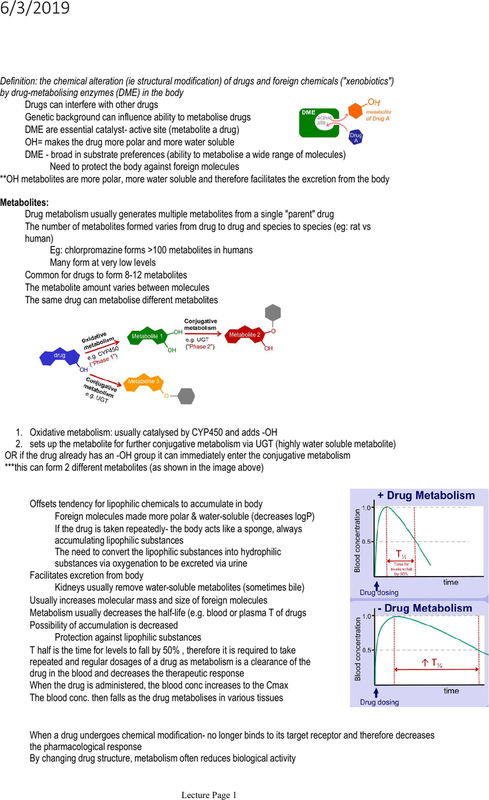 The number of metabolites formed varies from drug to drug and species to species (eg: rat vs human) Oxidative metabolism: usually catalysed by cyp450 and adds -oh sets up the metabolite for further conjugative metabolism via ugt (highly water soluble metabolite) Or if the drug already has an -oh group it can immediately enter the conjugative metabolism.